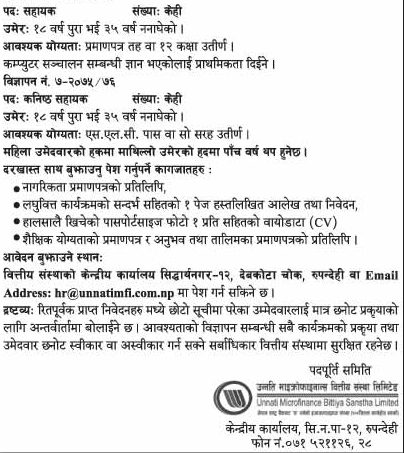 Vacancy announcement from Unnati Microfinance Bittiya Sanstha Ltd.
Unnati Microfinance Bittiya Sanstha Ltd. (UNNATI) is a “D” class financial Institution licensed by Nepal Rastra Bank as per Bank and Financial Institutions Act 2003. 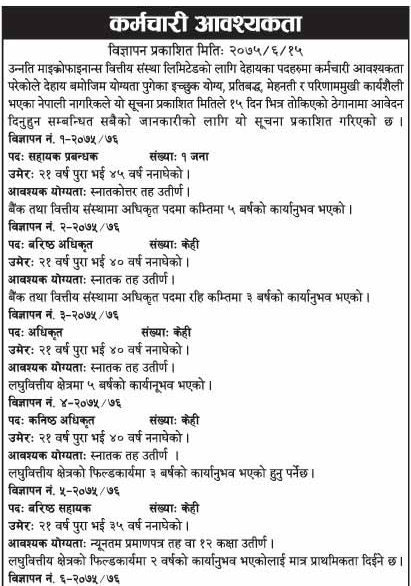 It was established in 2070 B.S. It has planned to serve the underprivileged peoples throughout the country with stellar track record of increasing profitability.